The judging process for this year’s Motlekar BBQ Awards, to be hosted on 31 October at Emperors Palace in Joburg, is in full swing and our judging panel agrees on one thing: 2014 will be the toughest year for judging ever, as entries received are of an amazingly high calibre. This is proof that, despite some objections and negativity, transformation in business in South Africa is very much alive—and that there’s hope for a thriving economy. Lindsay King, Editor of BBQ magazine, says the BBQ Awards prides itself on selecting, assessing and honouring true achievers—people who are setting the pace, and making a lasting impact in their chosen fields. “But as we all know, as much as the standard of any awards ceremony is determined by the quality of the entries, the quality of judging highly depends on the quality of the judging panel. The adjudicators are assigned specific categories in which to assess the nominees. These categories coincide directly with their own experience and expertise. Our verification partner, Veridex, will verify the BBBEE status of all nominations, ensuring they meet the strict criteria set down by government and other stakeholders. All received entries will be sent to our independent panel of judges three weeks before judging day, giving them sufficient time to assess the quality of the nominations. There will be three sub-judging types: categories, shortlist and finalists. Each sub-judge will evaluate the supporting documents received for each nomination. The category judges will submit their individual scores, which will be collated and the top entries will be short-listed from each category’s nominations. Shortlisted nominees from each category will be informed telephonically of their status. The winners from each category will be determined by the panel of judges’ final score. The winners will be announced at the awards ceremony. 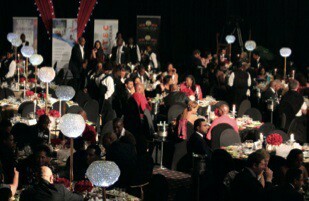 Companies can book tables at R30 000 each, or R2 000 per attendee. 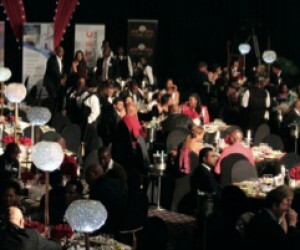 To attend, email Zama Hlekani at info@bbqawards.co.za or call 021 681 7000.